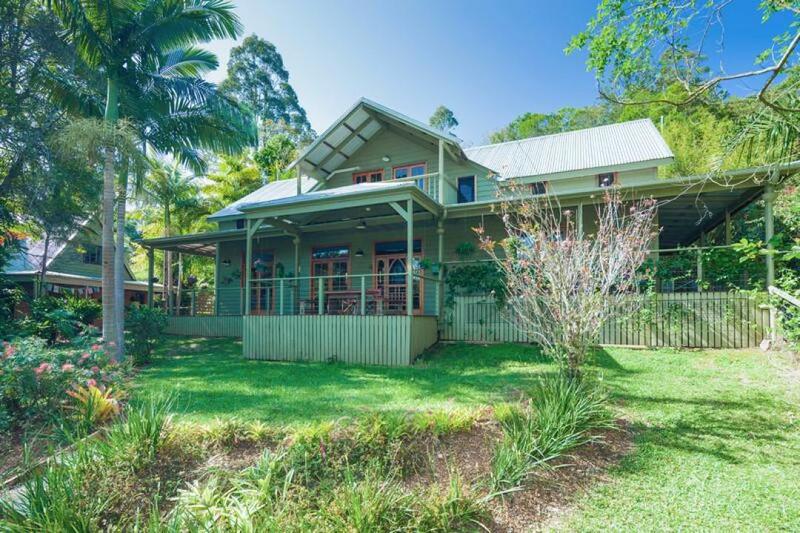 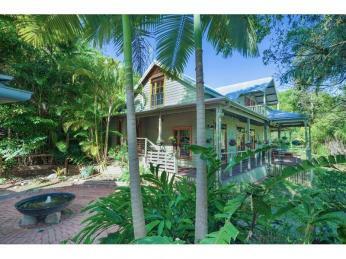 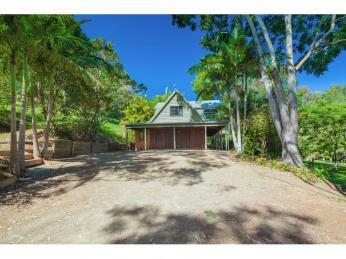 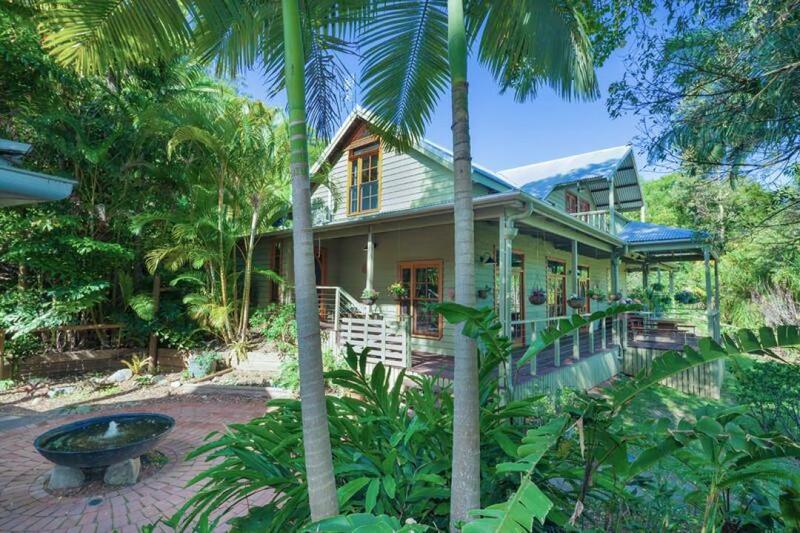 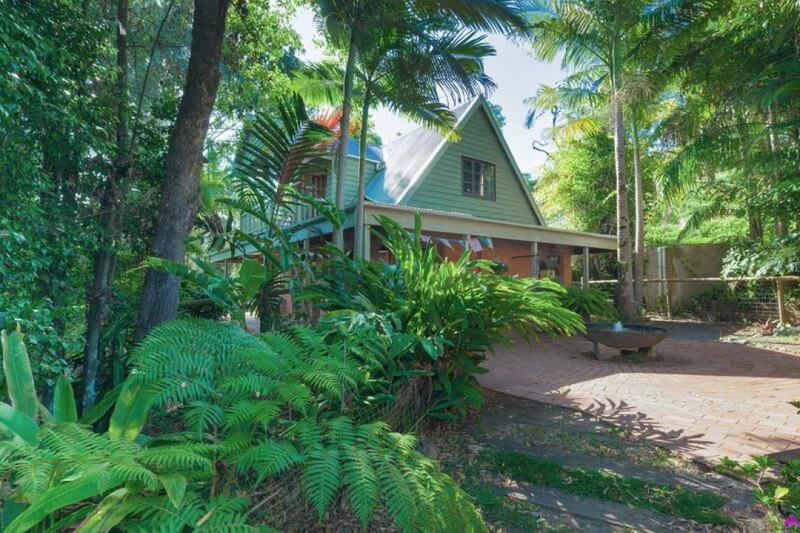 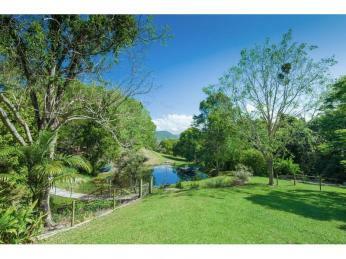 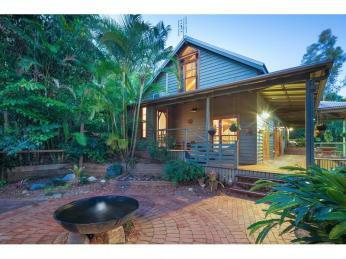 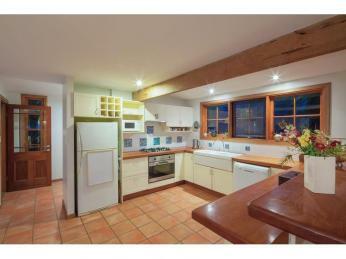 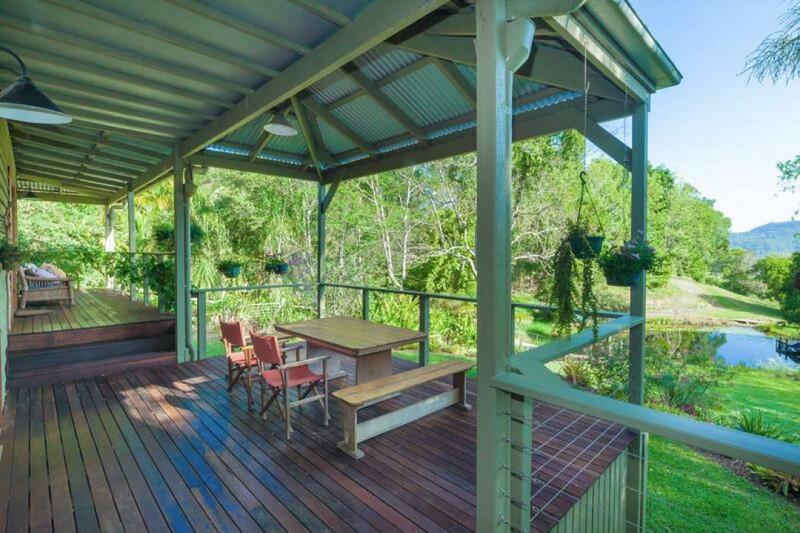 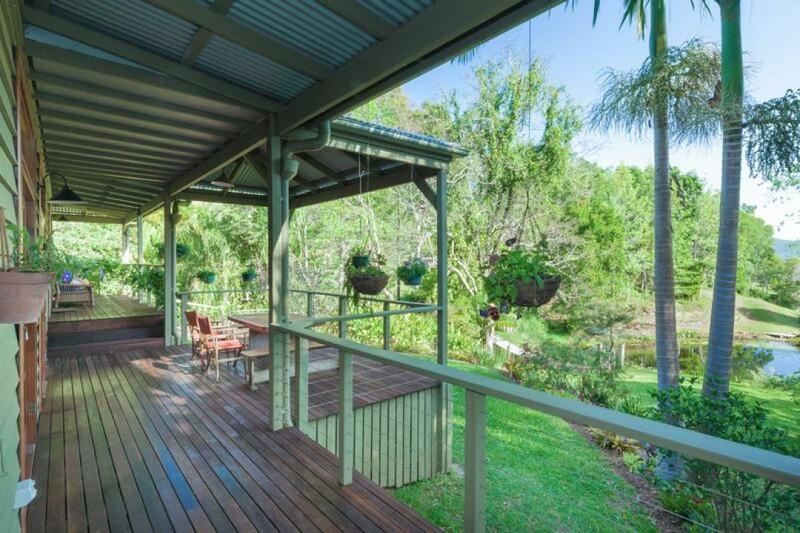 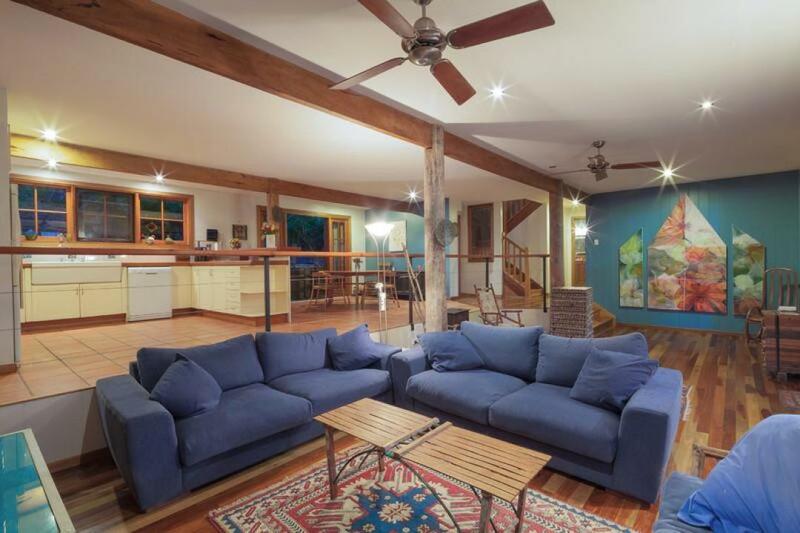 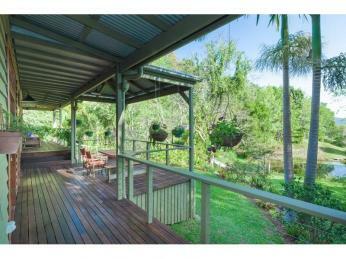 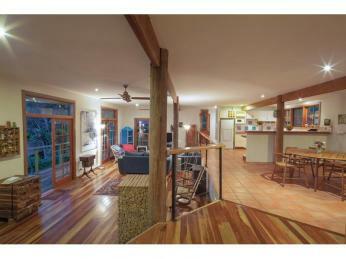 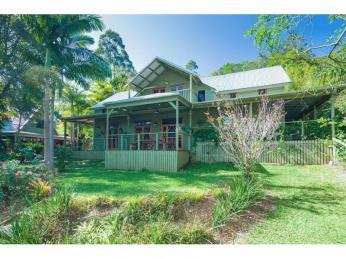 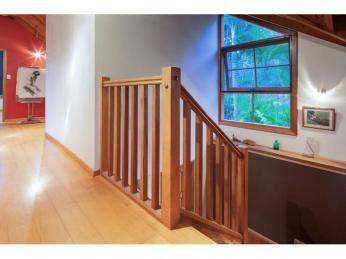 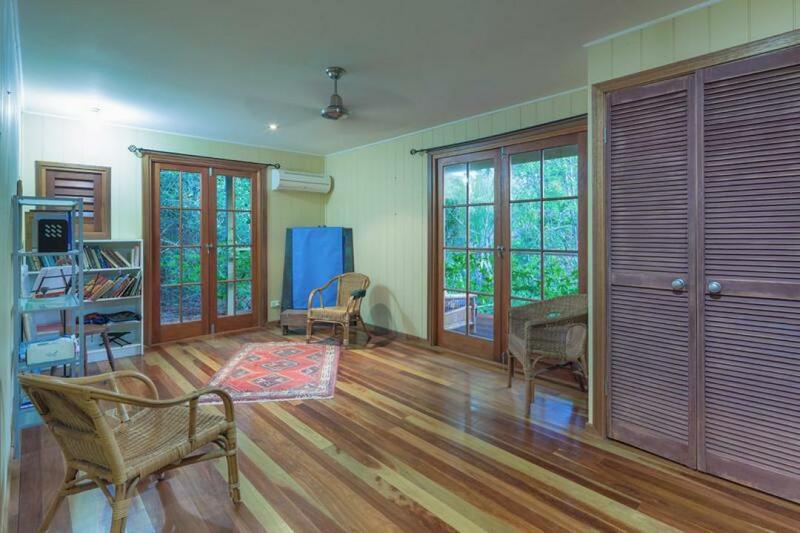 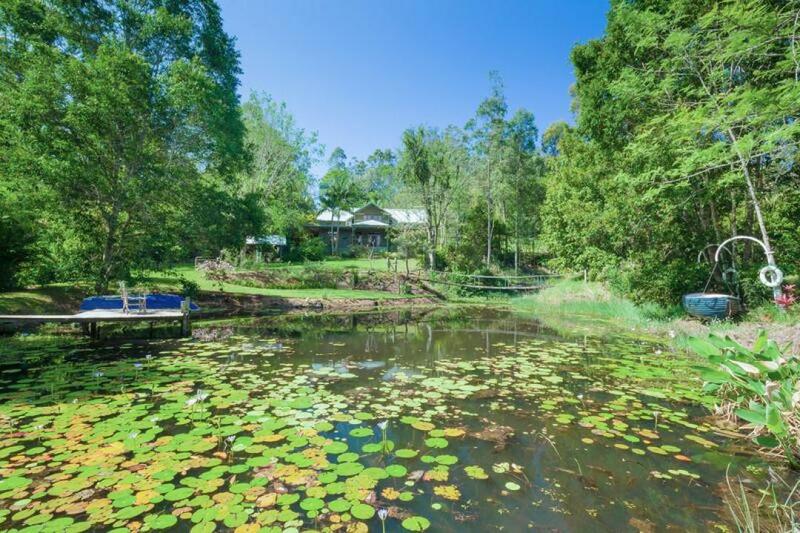 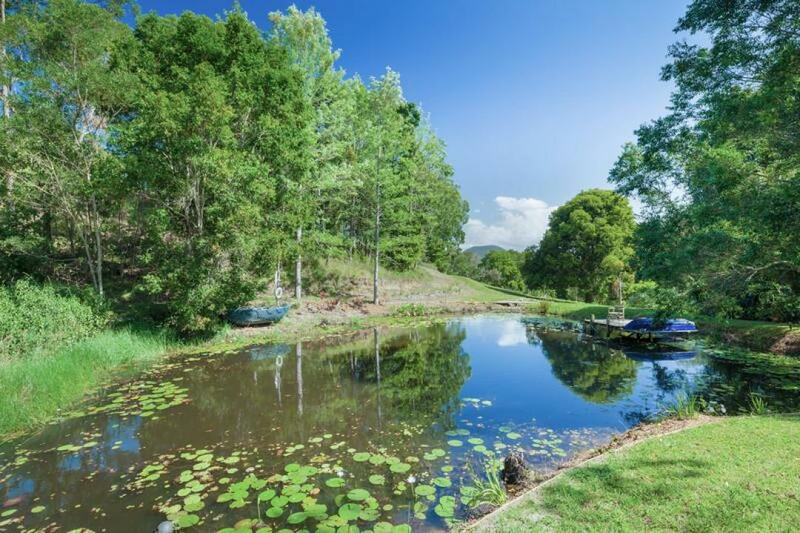 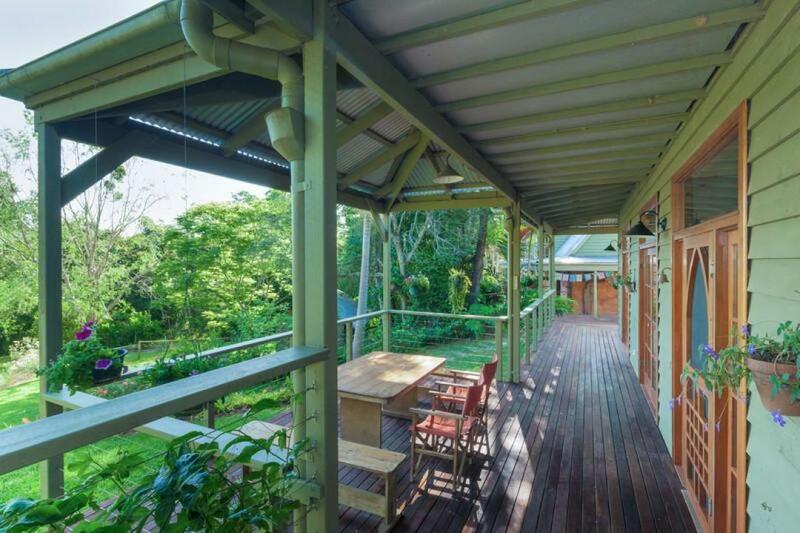 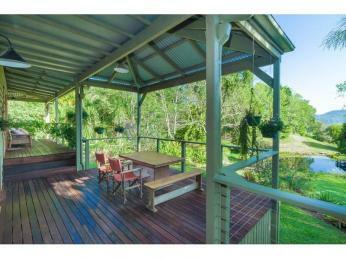 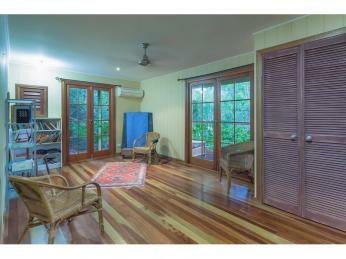 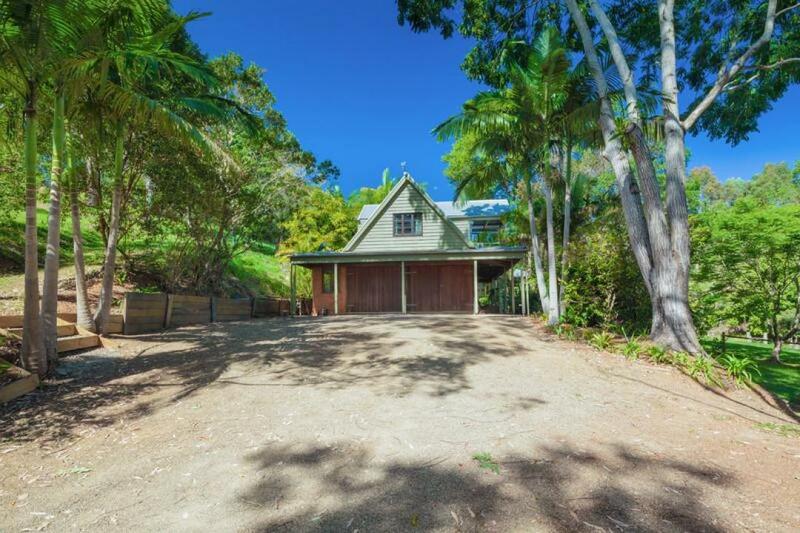 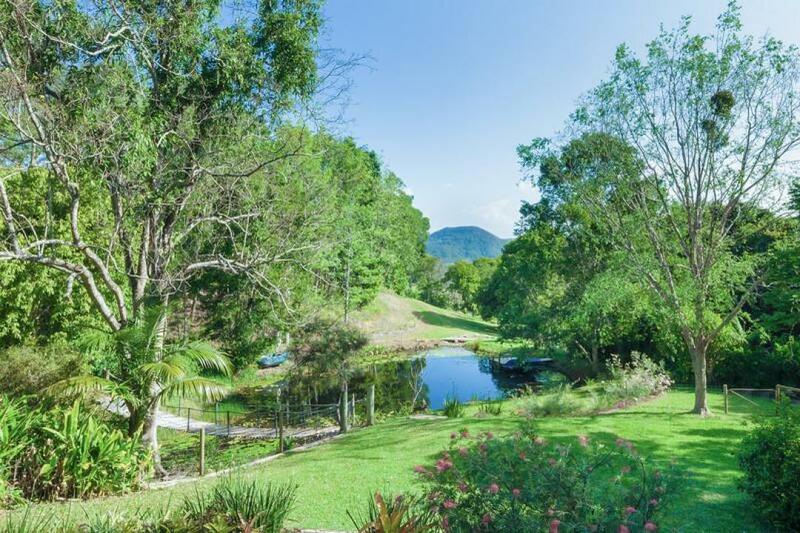 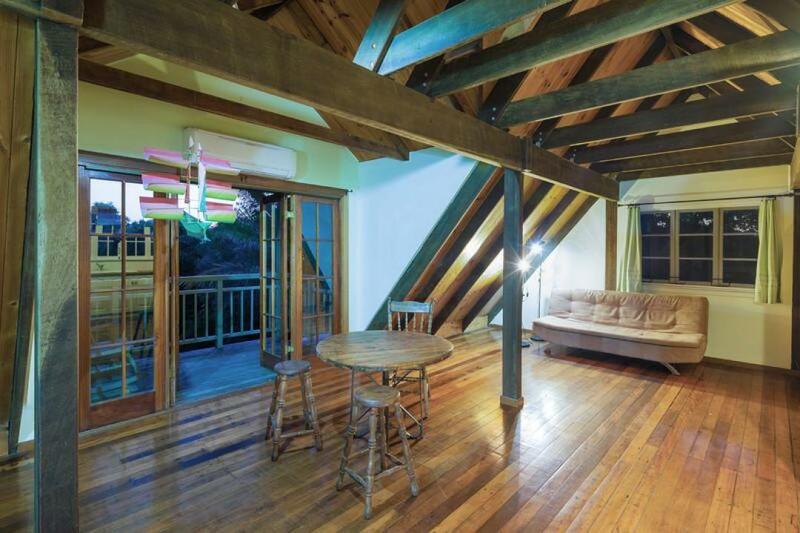 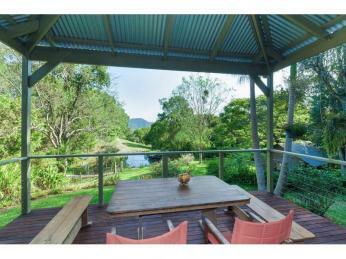 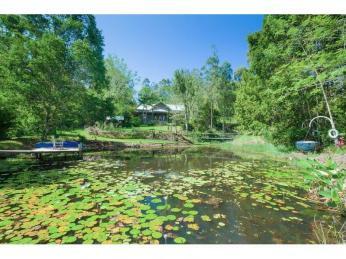 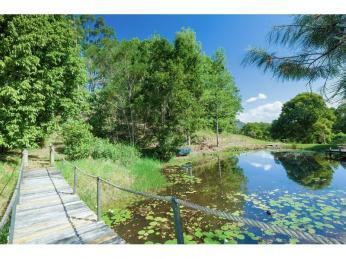 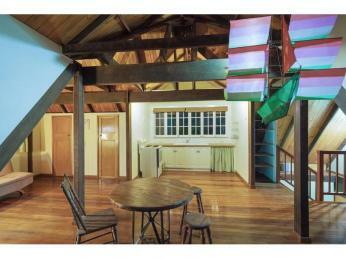 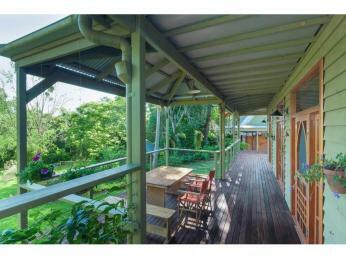 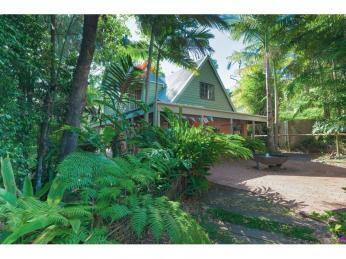 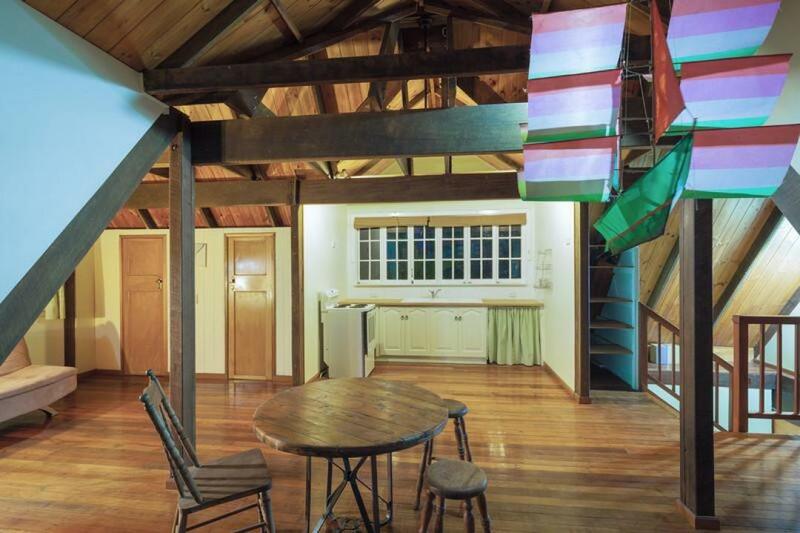 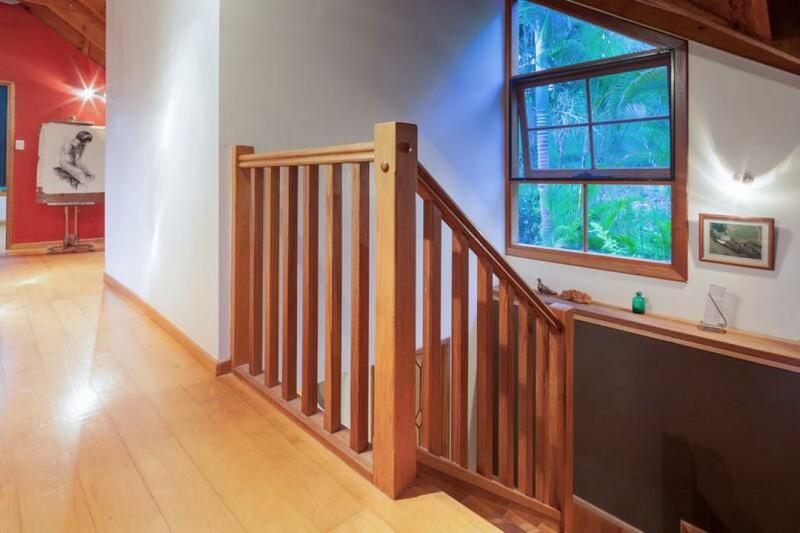 The classic country home & separate two level mud brick studio,is situated half way between Eumundi and Cooroy. 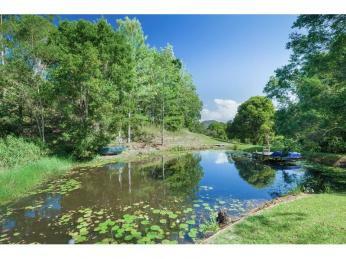 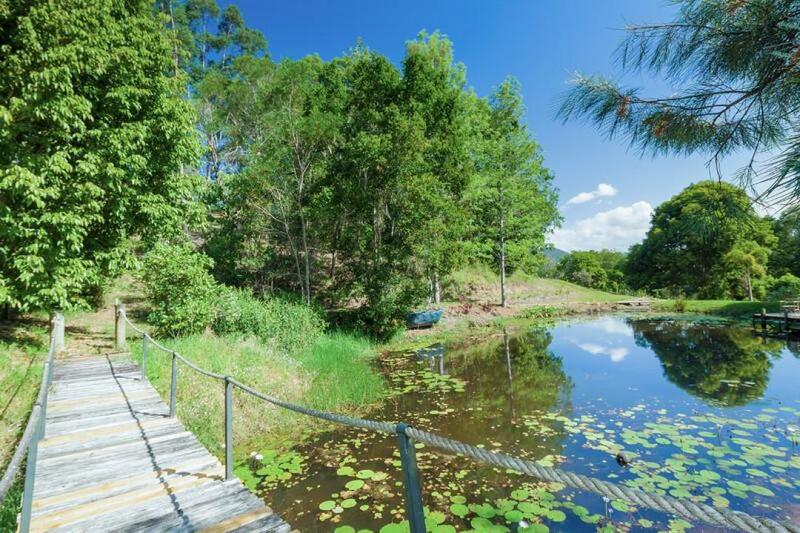 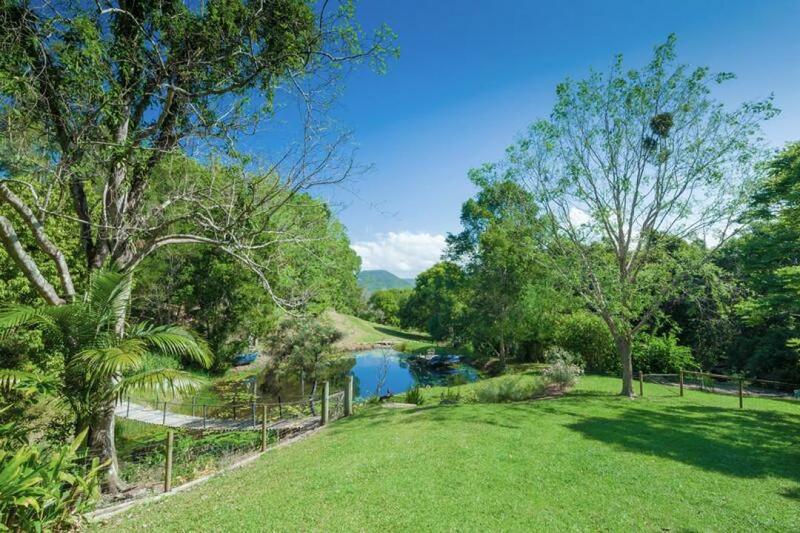 It is set in a secluded landscaped parkland of 2.07 acres overlooking its own beautiful lily covered dam, complete with a 30m suspension bridge. 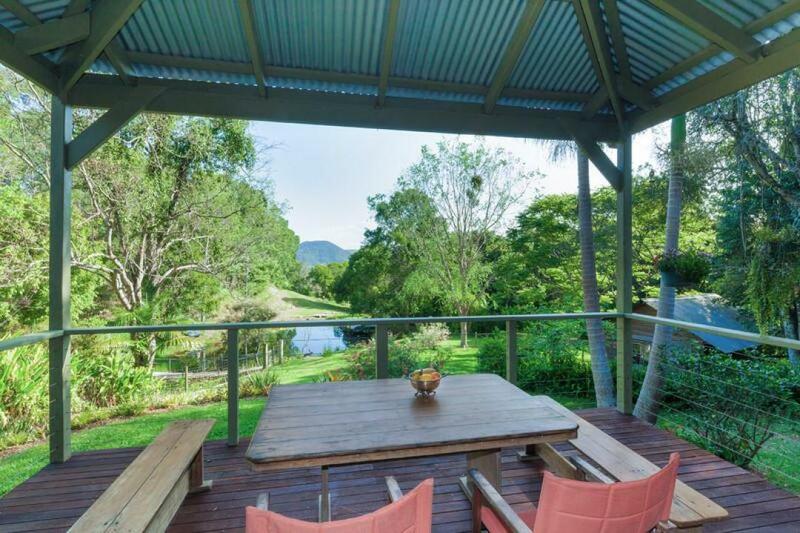 Stunning mountain views can be enjoyed from the extensive verandah and second floor balconies. 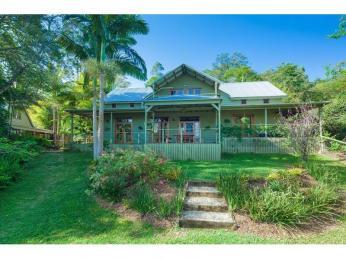 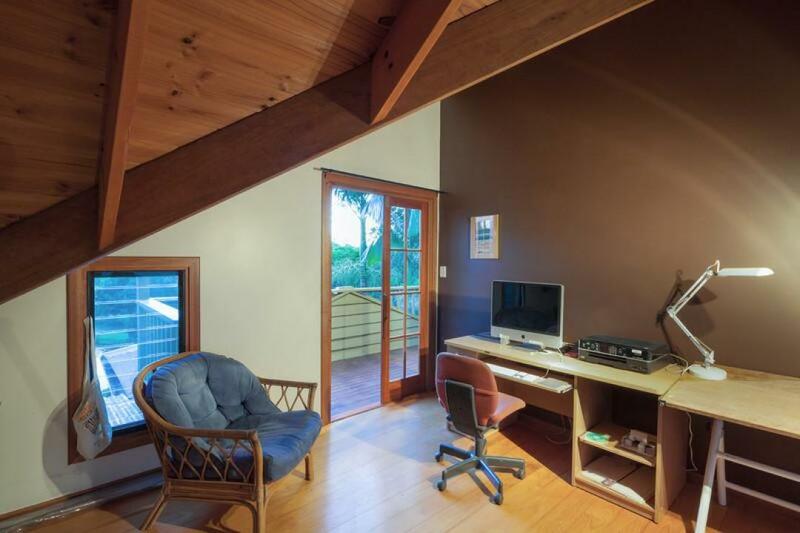 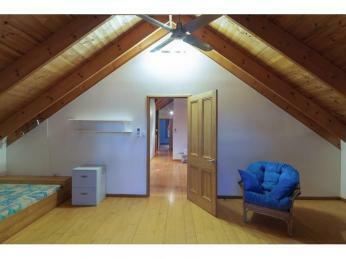 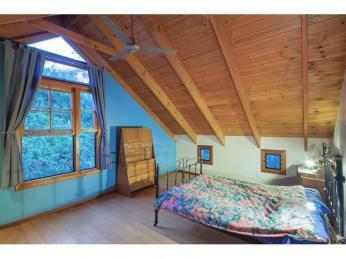 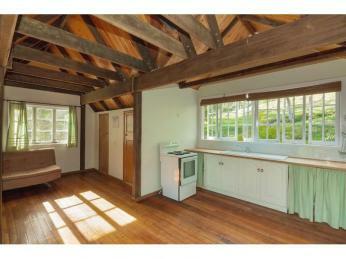 The 4 bedroom, 2 bathroom home plus office has character and great charm – an all craft-man made timber windows and doors. 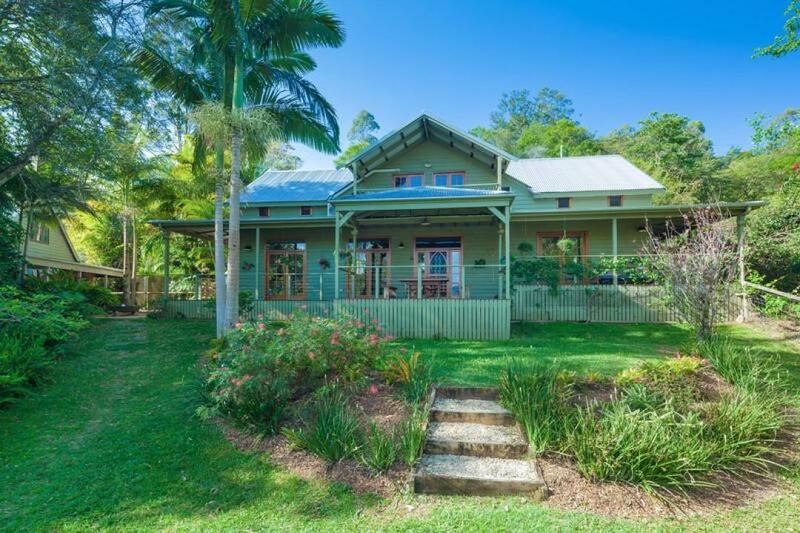 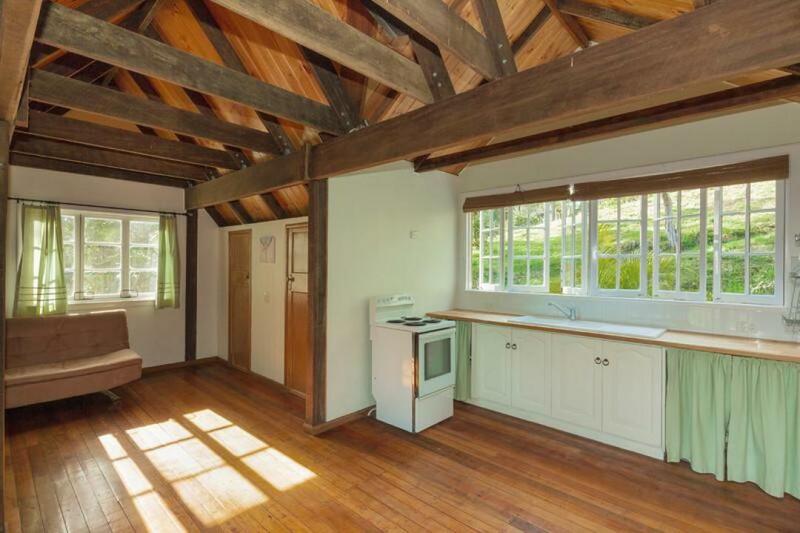 Warm timber floors and finishes, with an eclectic country kitchen, a large walk in larder and farmhouse sink, high raked ceilings, beams and thick wooden log posts enhance the special character of the home. 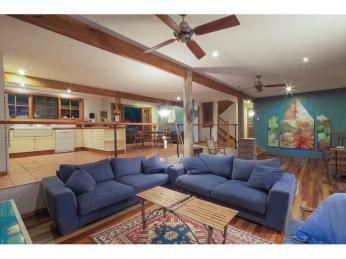 The open living area has an atmosphere of warmth and easy relaxation. 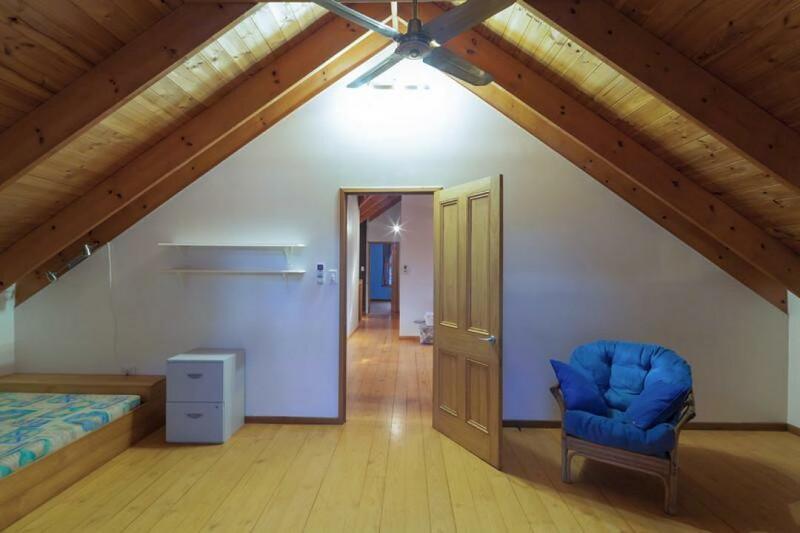 The air conditioned master bedroom, office, large bathroom with clawfoot bath and separate shower are all located on the main level. 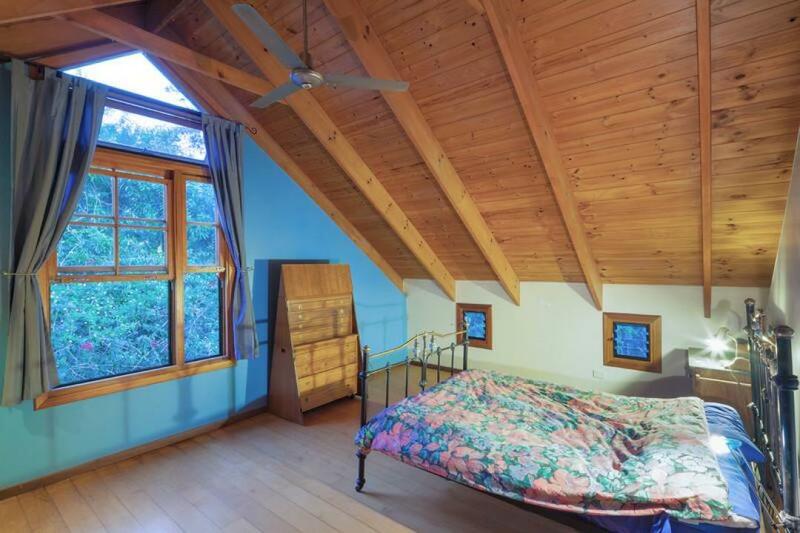 Upstairs, there are three additional good sized bedrooms with balconies and air conditioners, a bathroom and a secondary lounge/rumpus. 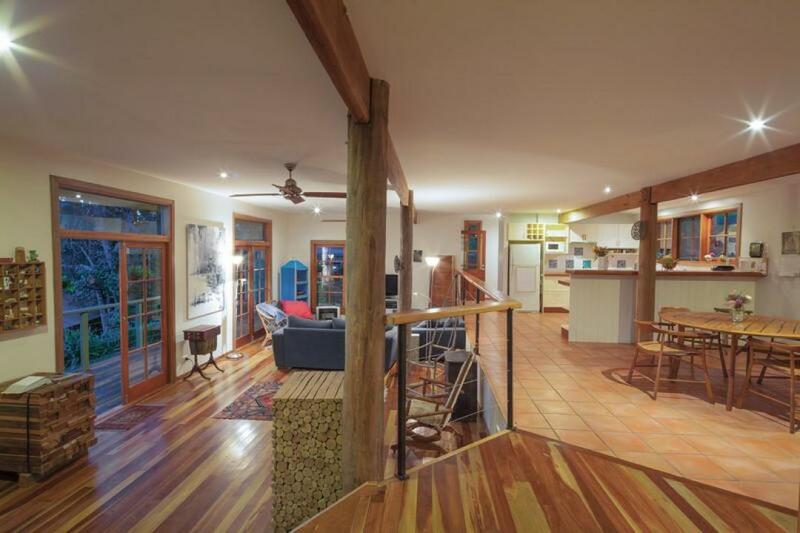 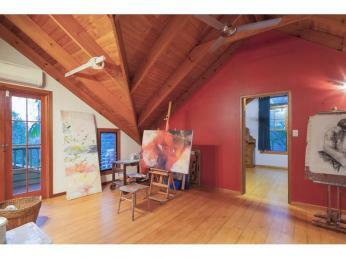 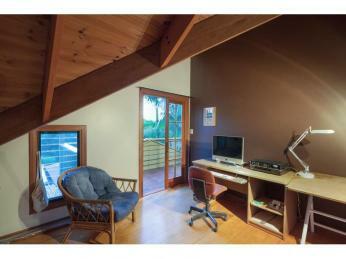 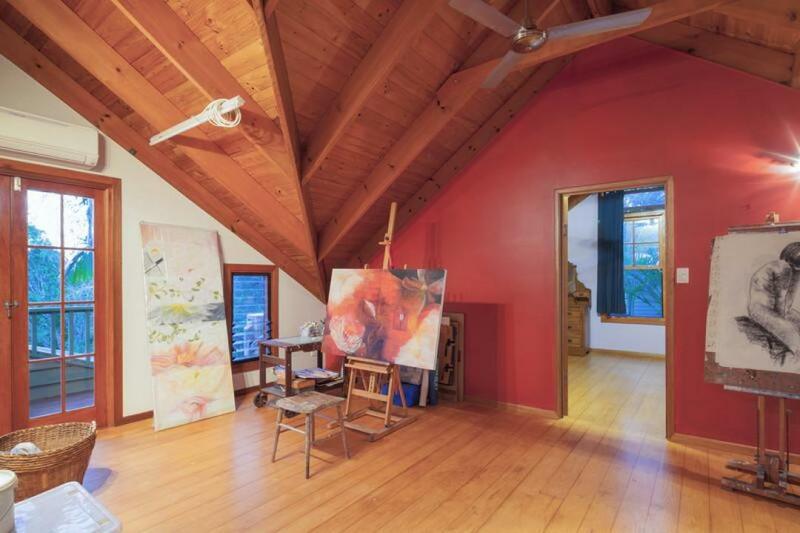 The mud brick studio is separated from the main home by a rustic paved courtyard with a central fountain. 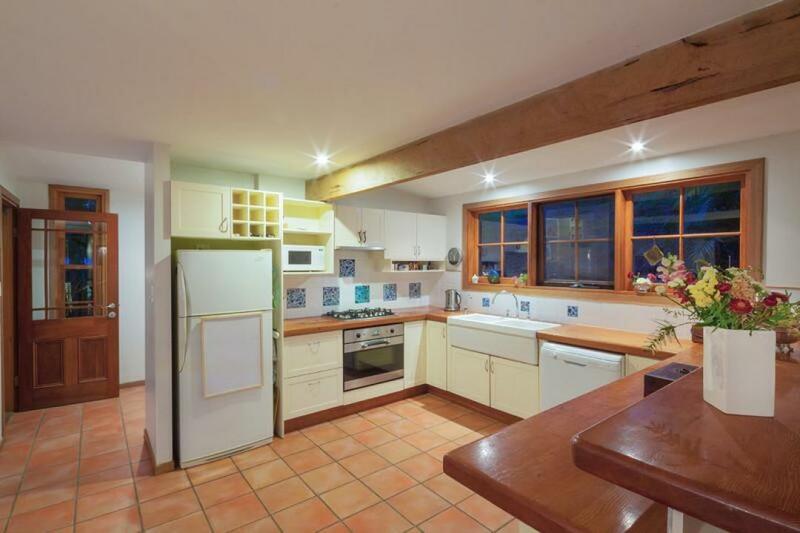 Fully self contained, the upper level is home to a large air conditioned living area and functional kitchen whilst downstairs is equipped with a bathroom, large open living area and double barn doors. 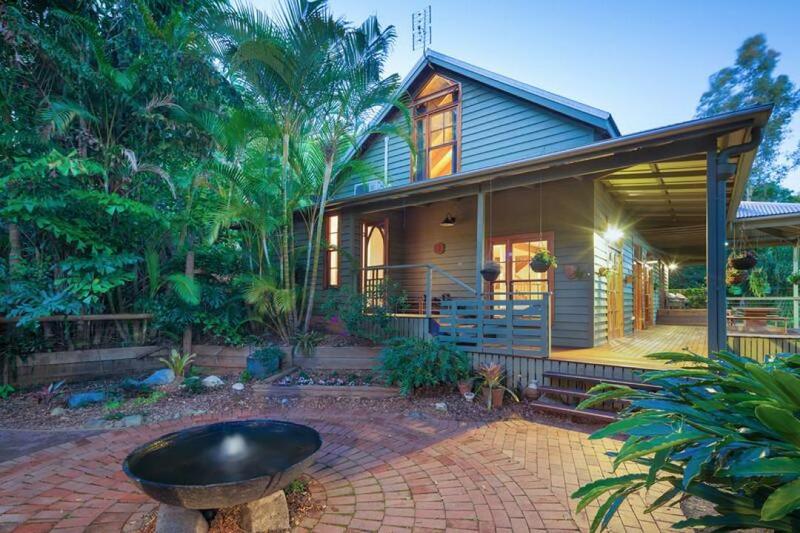 The pleasures of living in this romantic home are complemented by easy access to the Eumundi schools, markets, the Cooroy Township and Sunshine Coast beaches. 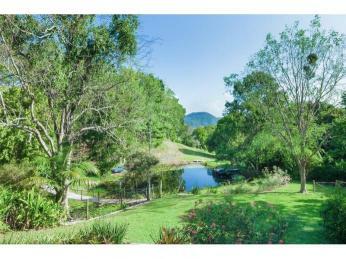 to golf courses, sailing, surfing, art galleries, the theatre and they sharpen enjoyment of the bright lights of the city, making it the best of both worlds!